Edd Filiti, Sylvester Stallone’s nephew, has blasted the actor, accusing him of being to blame as he continually neglected his son Sage who was found dead at his Hollywood Hills home on Friday from an apparent overdose. Edd Filiti, 18, made the claims on his Facebook page, though the messages have since been removed. In a posting where Edd Filiti slammed Sylvester Stallone’s current wife Jennifer Flavin, he also said the actor had cut Sage out of his life, devastating the aspiring filmmaker. 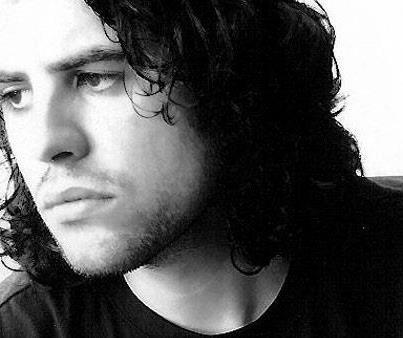 When Sage Stallone called his father on July 6 to wish him happy birthday, the Hollywood star apparently didn’t pick up and didn’t call him back. “What did he do wrong, say happy birthday?” Edd Filiti wrote. “Neither you [Sylvester Stallone’s wife Jennifer Flavin] or he could return a phone call, which is all he wanted, his father. Edd Filiti, who is the son of Sylvester Stallone’s half-sister Toni Ann, also went on to make a withering attack to 43-year-old former model, who married the Rocky favorite in 1997. He said: “Jennifer Flavin, you won. You tore this family apart and got your trophy, Congrats! Edd Filiti later decided to remove the comments from his Facebook page, telling the New York Post that he regretted sharing his feelings. “I made a mistake. It is a very emotional time and I vented my feelings,” he explained. “I was feeling raw and emotional and I never meant for my feeling to become public. Sage Stallone’s mother, Sasha Czack, split with Stallone in 1985 after 11 years of marriage. According to reports Sasha Czack got a $12 million divorce settlement from the filmmaker. Meanwhile it has emerged officers investigating the death want to talk to several doctors that prescribed him medications. It follows reports that Los Angeles Police Department Robbery and Homicide division has taken over the case. A source told RadarOnline: “Detectives from the LAPD are in the process of going through evidence recovered from Sage’s house and will be contacting the doctors that prescribed the medications found there. “There was more than one doctor that Sage was seeing in the days leading up to his death. While prescription bottles were found at the scene, no suicide not was found and it is believed his death was accidental. On Sunday night, Sylvester Stallone, 66, issued a statement asking “people to respect my talented son’s memory and feel compassion for his loving mother Sasha,” and for the media to stop “the speculation and questionable reporting”. The actor added: “When a parent loses a child there is no greater pain. This agonizing loss will be felt for the rest of our lives. An autopsy and a toxicology test were completed Sunday, but the results of the latter will not be released for weeks. Meanwhile a photographer who did a feature on Sage Stallone in May said he was not surprised about the death, though he said the young filmmaker was far from suicidal. Girls and Corpses snapper Mark Berry told RadarOnline: “I saw nothing to suggest that he was in a suicidal mood. He was telling me about how he wanted to shoot a film, he seemed hopeful for the future and making work plans. “My impression was that he was a very talented character who seemed under the influence of a pharmaceutical medication, he wasn’t a wreck but he was just a little spaced out.